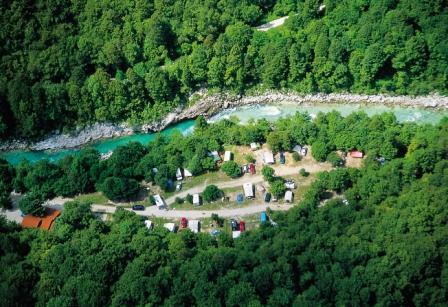 Kamp Koren is situated in picturesque valley by the Soča river, only 500m away from the centre of Kobarid. It is classified as a 4-star campsite and it is friendly to disabled people. There are 90 pitches in the campsite for caravans, motor homes and tents and it can host up to 360 guests. Every pitch has an electric hook up. The campsite has three sanitary blocks (one is heated), washing and drying machine, TV, WiFi, bar and grocery with some eco products. Here can anybody find something for himself: relaxing atmosphere or different sport activities. The campsite offers volley ball, bowling playground, table tennis and a climbing wall. We also have a high ropes course, where kids and adults have fun. Guests who want to do more recreation, can rent a mountain bike. 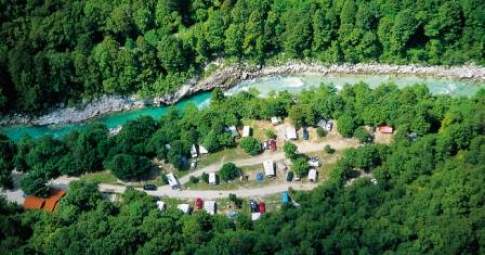 The Soča river is running close to the campsite, where guests can fish or do water sports. Additional offer of the campsite is the organization of water sports; also a kayak school is possible for those who are experiencing the first time the kayak driving. 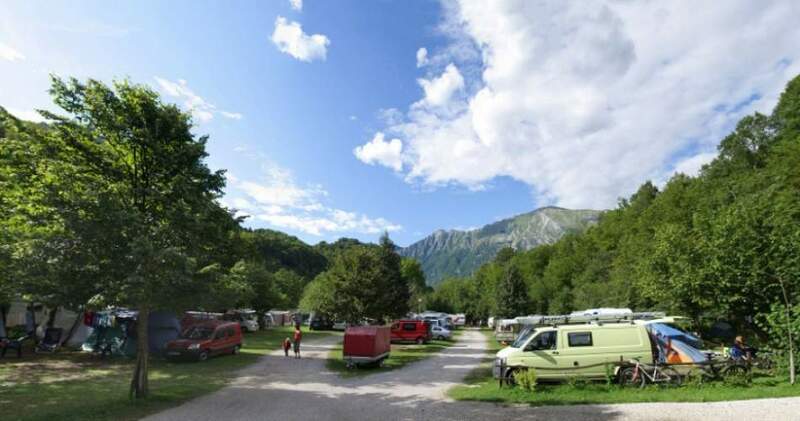 The campsite offers also organisation of sky sports and hiking tours (The campsite belongs to the chain of biker's and hiker's campsites.) here in the picturesque landscape close to the campsite. Special atmosphere of the campsite is made by the 6 wooden chalets. Each has 100m2 living space divided into kitchen, living room, bathroom and 2 bedrooms. Chalets are fully equipped and ready to rent also in the wintertime as they are heated. 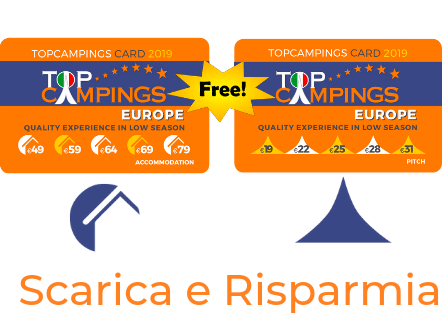 The campsite has the Eco label and Ecocamping certificate. Its politics is to do the best to keep the environment clean or at least have minimum effect on it.